Bringing new hope to chronic pain and chronic condition sufferers! This book is about you and getting your life back. If you or a loved one is suffering from chronic degenerative knee, shoulder, or hip pain due to arthritis; or you have chronic inflammation or autoimmune issues, you owe it to yourself to see how Stem Cell Therapy can offer hope and healing! The book answers the most common questions that people have about stem cells therapy. Can stem cells help with a serious medical problem? Are the treatments safe? How many treatments you may need? How fast will you see results? How to get 95% success rate? These questions and many more are answered here. This is a complete easy to read guide for anyone interested in stem cell treatment. Dr. Banerjee reveals how this cutting-edge therapy can rapidly replace damaged cells in the body with no side effects or downtime. Stem Cell Therapy is one of the biggest medical breakthroughs in natural healing! Stem Cells are master cells that have the capacity to develop into any other type of cell in your body. They are tasked with healing injured tissue, bone, ligament and tendon. Your body is continuously rebuilding with the help of stem cells. These cells repair your body in the same way your body naturally heals itself. 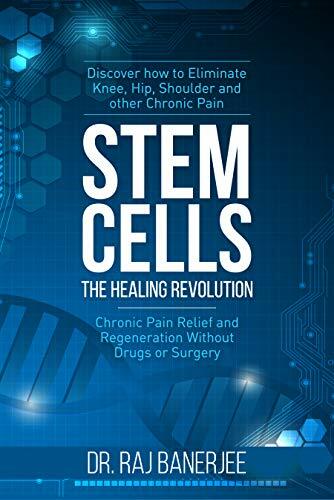 The book, Stem Cells the Healing Revolution by Dr. Raj Banerjee, will provide key insights on how using stem cell therapy can help reverse chronic pain and disease, and help you or your loved ones get back to the life you love. The body has a simple language that children and adults can understand. Many adults and children experience some kind of discomfort in their bodies at some point in time. Many of these discomforts is not quite understood. These discomforts is the bodies way of talking to us telling us that something is not quite right within the functions of the body. Statistically it has been shown that children are now being diagnosed with adult chronic illnesses. When children suffer discomfort they do not know how to express these discomforts due to a lack of understanding how the body talks to them. In turn these discomforts can affect their lives on a personal level and even their future. 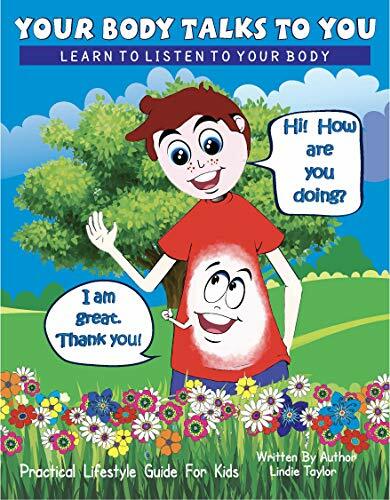 This book aims to introduce the simple language of the body to help children and adults to make better decisions regarding their health by understanding the language of the body. This book is filled with fun and colorful pictures for adults and children to enjoy. The information in this book has a simple yet powerful message to bring awareness to the language of the body preventing chronic illnesses later in life. You are born genius; you are born with champion stamped in your DNA. You are born “I AM ENOUGH,” and then you get caught in the rip tide of life and you get sucked out into the ocean of “AM I ENOUGH?” You start drowning in doubt, fear and limiting beliefs and finally you start asking “WHATS WRONG WITH ME?” why can’t I succeed? GO FOR THE BIG is all about dragging you out of the ocean of “AM I ENOUGH?” back onto the beach of “I AM ENOUGH” and resuscitating yourself. You will finally spew out doubt, cough up fear and vomit limiting beliefs. 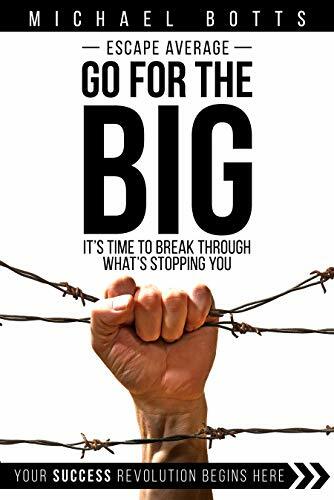 With the key success strategies in GO FOR THE BIG you will breath in confidence to “GO FOR THE BIG;” you will sprint into your destiny with outrageous courage and you will finally serve the world they way only you can serve the world. Margaret Lesh confronts midlife, the empty nest, strange bodily happenings, illness, loss of faith, overwhelming current events, and her resulting dark period. 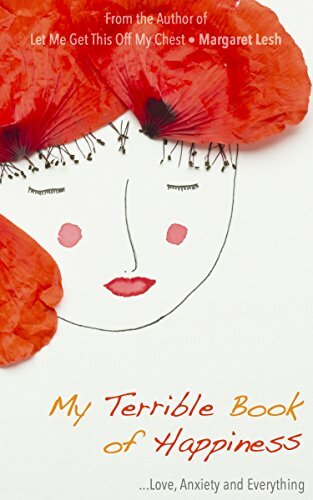 With wit and compassion, she weaves personal stories, observations, essays, bits of trivia, and her own coping tools into a beautifully funny, engaging tapestry. Opening up about her mental, physical, and spiritual reboot, the author of Let Me Get This Off My Chest: A Breast Cancer Survivor Over-Shares once again invites you in for a chat over a cup of coffee (or tea). Sharing from the depths of her soul, she writes not only to figure things out, but to help others navigating times that often feel bewildering and chaotic. For those feeling anxious, sad, or simply in need of a lift, this book was written for you. Not everyone is like Steve Jobs or Elon Musk. However, that doesn&apos;t mean massive success isn&apos;t right around the corner. Often times, our perceived weaknesses are our greatest strengths. FLIP YOUR WEAKNESSES INTO STRENGTHS. Our Most valuable resource is time. It is the only resource that is not replenishable. In the name of networking, we waste precious time spending it on networks that hold us back. Stay away from the Frenemy Zone and learn to build a vertical network. From building his last startup to a $15M valuation to selling beepers in Compton and making nearly $10K/month after immigrating to the US with broken English, Kevin Hong has learned the power of selling vision. Sell vision to win job interviews, raise money, and recruit superstars for your cause. Kevin Hong who has been featured in the NY Times, LA Times, The Verge, CNBC, and many other media outlets and who has contributed articles to CNBC, Forbes, Huffington Post, and Inc. Magazine will teach you the Power of Reality Distortion. He built his last startup by living in a van with his entire sales team for over 2 years and raised over $4M in venture capital money. 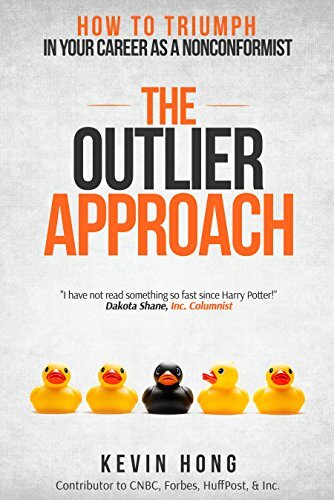 Too many books discuss the same people, the same companies, and the same concepts, resulting in cliche advice. Kevin Hong, a brutally candid journalist, goes out of his way to interview the most breathtaking stories. An entrepreneur who reinvented himself after growing up in communist Romania, an executive who connected Psy (Gangnam Style) with Scooter Braun (Justin Beiber&apos;s manager) to turn the hit song viral, an ex-NBA basketball star reinventing himself on the fly, and many more entrepreneurs, executives, and even celebrities. Deep inside we are all nonconformists and you will never have the career or lifestyle you desire by following the status quo. Small town romance to warm you heart. Courageous heroines, heartwarming heroes, suspense, and drama abound in this multi-volume bestselling series about a revitalized community. 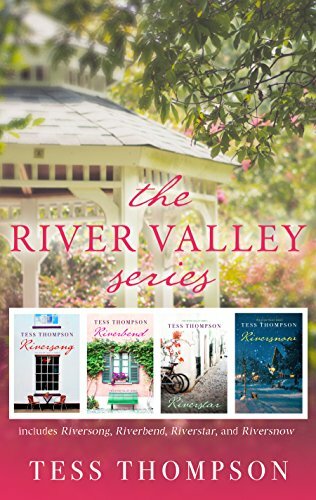 Visit River Valley and experience every struggle and triumph that will have you turning pages and leave you smiling as you rediscover passion, hope, community, friendship and second chances. Billionaire bachelor Dray Royce is looking for a wife. This is every woman’s dream who’s dreamed of being the one for him. The dream can now become a reality, but it will only happen for one woman. Eve Lyle has been single for over ten years but doesn’t know if she wants to take the chance that millions of other single women are taking in hopes of making their dream come true, but knows that she has no chance if she doesn’t take a chance at all. She struggles with what to do. But when tragedy strikes, it brings to light some startling revelations into what went on during Dray’s search for a wife, as well as opening up new possibilities and hope. But there’s a lot more to Dray–and his family–than most people will ever know, and all of the drama unfolds when he makes his choice of who he picks to date for the chance of becoming his wife, and this drama is way more than his choice will ever imagine. 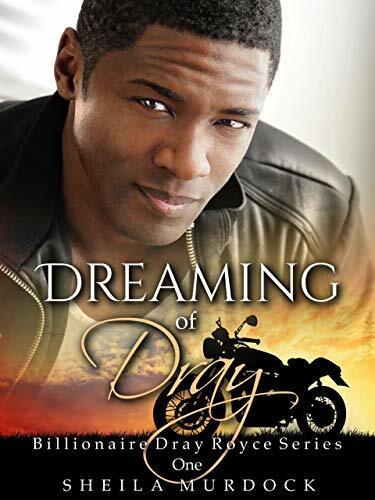 Dreaming of Dray is the first book in the Billionaire Dray Royce series. This galaxy needs a leader who&apos;s not afraid to fight dirty. Sometimes, the only way to save a galaxy is to conquer it. 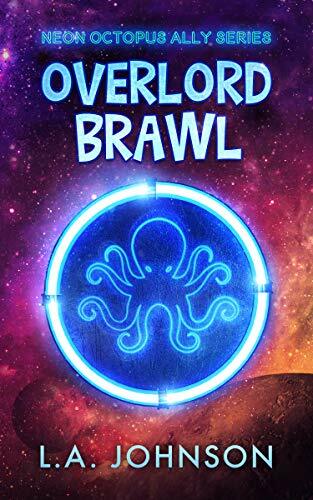 The battle for power has begun, and the Neon Octopus has come to fight. Soda, The Neon Octopus ex-Overlord, wants her job back and she&apos;ll stop at nothing to get it. But when the board of directors in charge of the process meet an untimely demise, all at the same time, the rules change. A change that allows every supervillain in the galaxy to join the fight for power in a winner-take-all brawl that will change everything. The only question is, will the galaxy survive the brawl? Soda is an immortal space octopus with a temper. Her special skills include teleportation and inappropriate use of tentacles. She&apos;s going to take back what was hers. Floyd is a brainwashing therapist by day and a terrifying, illegal Preying Mantis in his free time. Also, he&apos;s an Executive Producer of the tv show All My Wormholes. He believes he should rule the galaxy. Froggy is a master of technology, which he harnesses for evil purposes. He&apos;s also an interstellar traveler who has finally found his Zen. He wants to prove he has what it takes to be Overlord. Ray is an Intergalactically famous Oracle with millions of adoring fans and a flair for the dramatic. He has wanted to be Overlord ever since he arrived in this galaxy and he knows that it&apos;s now or never. He and his pet troll Chipmunk are ready.